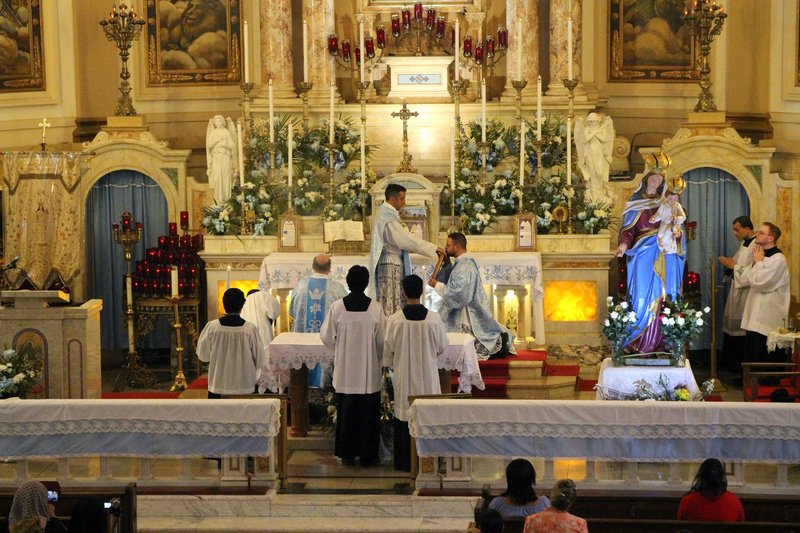 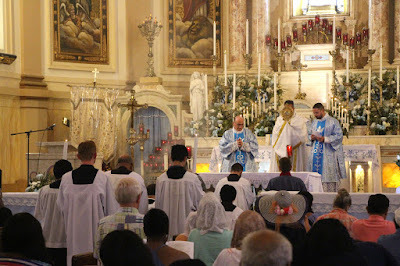 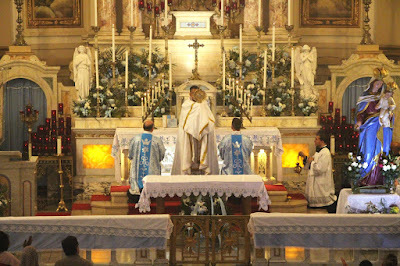 Fr Matthew McNeely was the celebrant, and Fr Karl Marsolle served as deacon; they are both members of the Priestly Fraternity of Saint Peter, serving at Our Lady of Fatima Chapel in Pequannock, New Jersey. 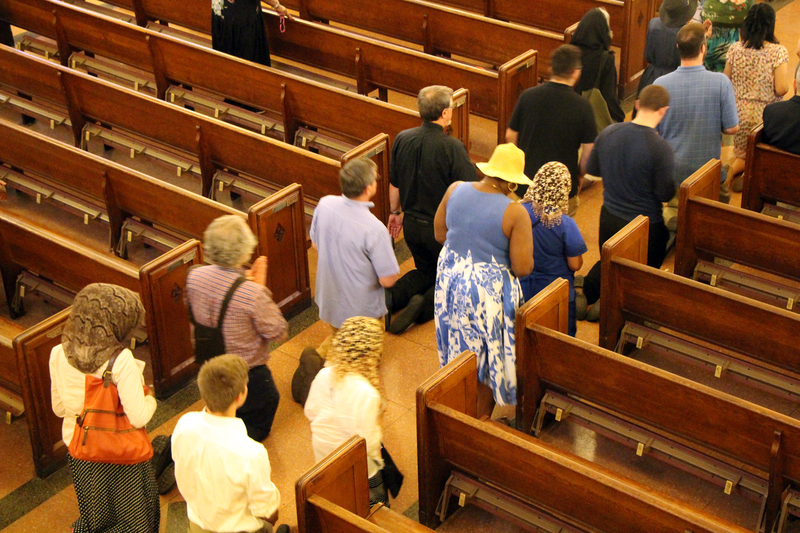 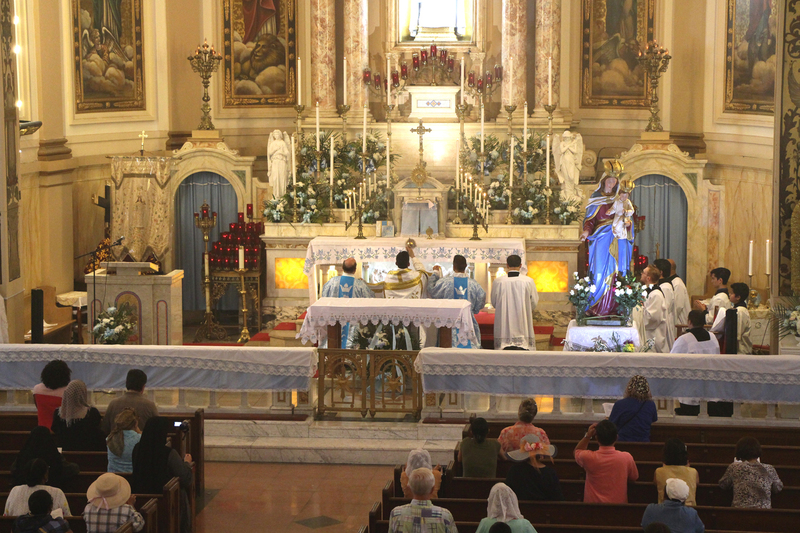 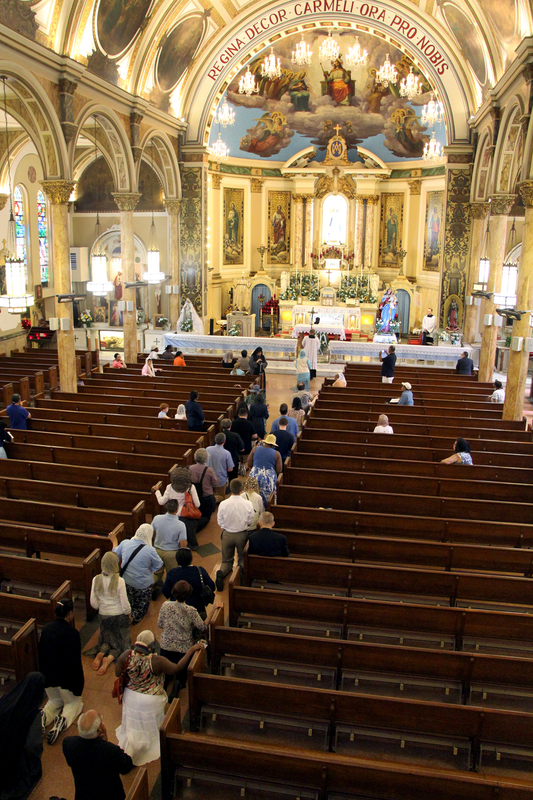 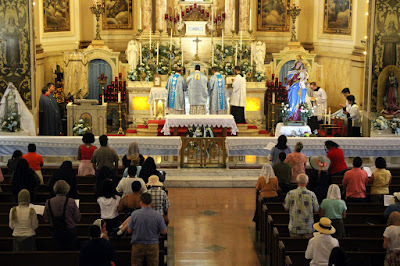 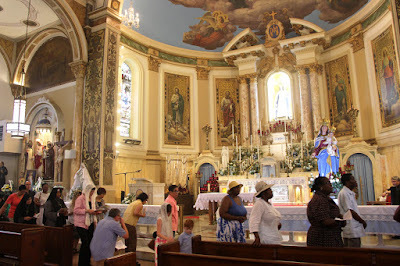 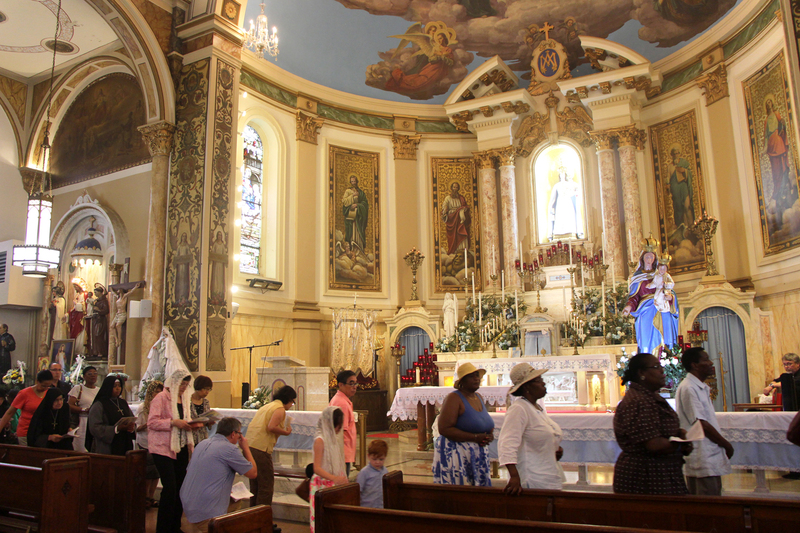 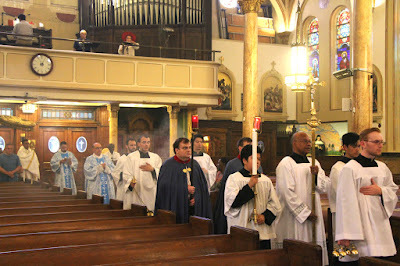 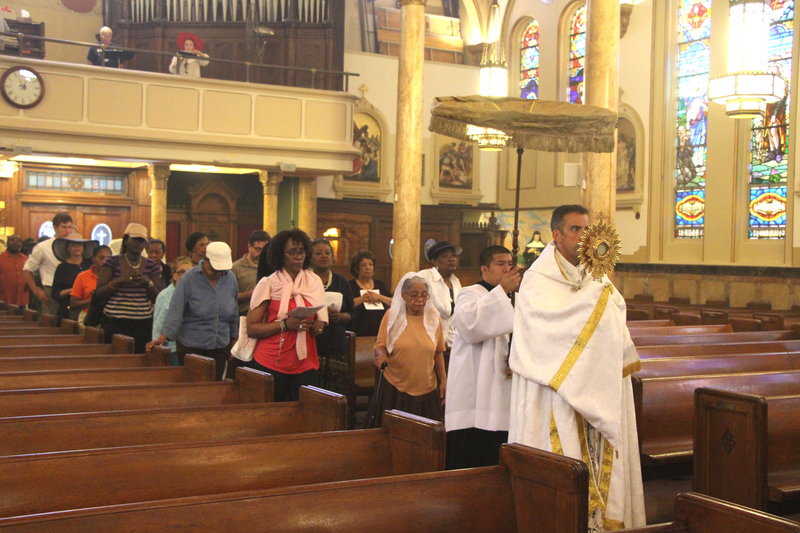 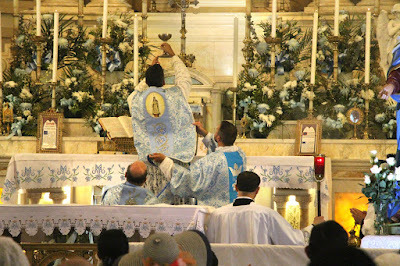 Before the Solemn High Mass, there was Confession and a talk on the Blessed Virgin Mary by Fr. 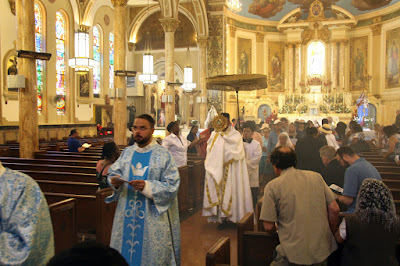 Christopher Salvatori, SAC. 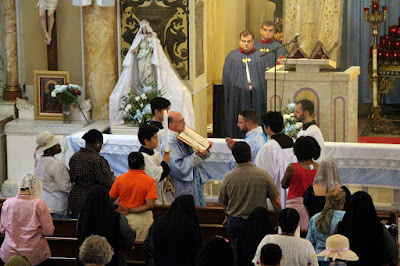 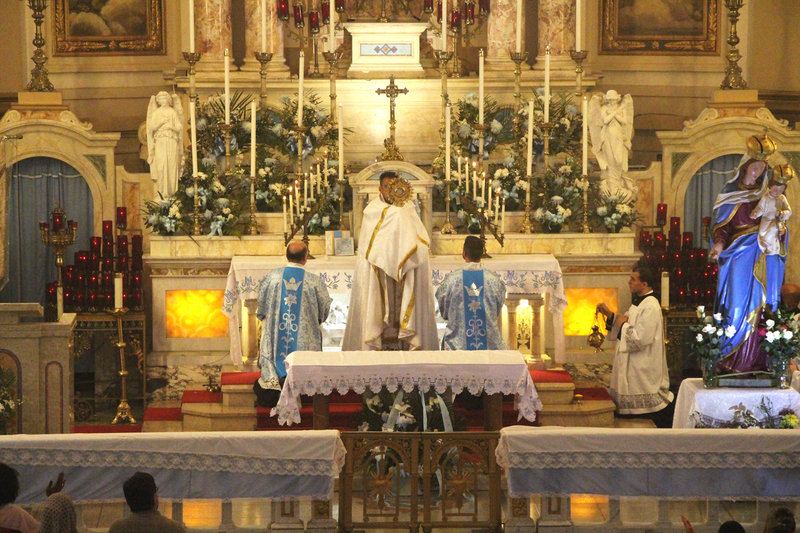 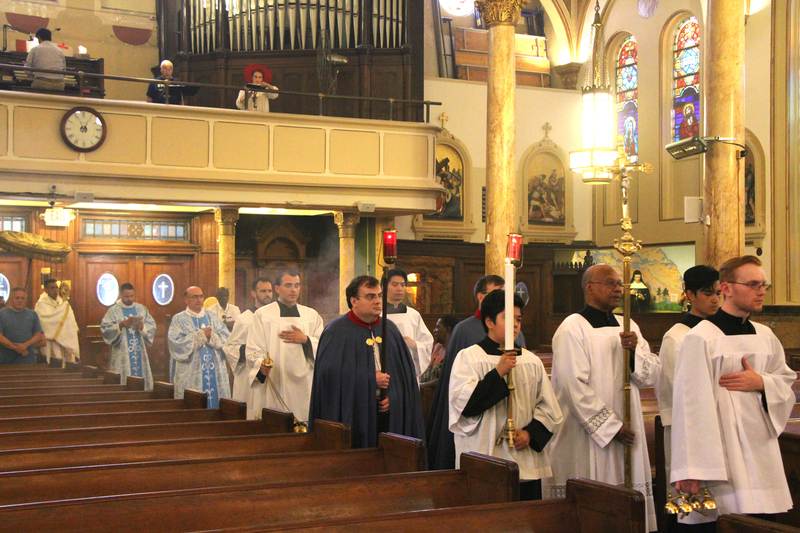 After Benediction, there was veneration of the relics of St. Vincent Pallotti and St. Helen of Laurino, as well investiture in the Brown Scapular by the Pallottine Fathers of Mt. Carmel.